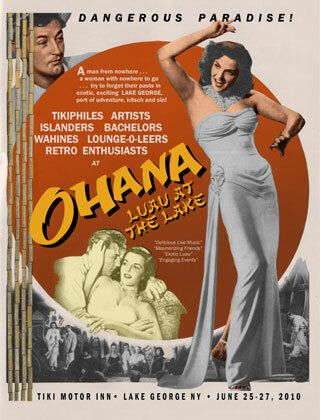 We are very pleased to announce that after closing the books for Ohana Luau at the Lake 2009 the F.O.M. 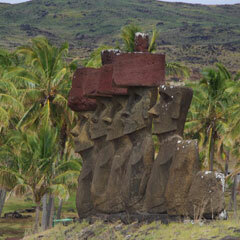 has donated an additional $3,000 to the Easter Island Foundation to fund a scholarship and youth programs on the island of Rapa Nui. The Easter Island Foundation, a non-profit 501(c)(3) organization founded in 1989, was named by the Moai as our national charity in 2008. 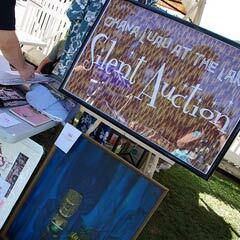 Funds for this gift, including a portion of general event proceeds, as well as silent auction and mystery bowl auction donations, were raised at Ohana 2009 in Lake George, New York. Ohana 2009 exceeded all of our expectations thanks to the generous support of our sponsors, performers, and attendees. Everyone had a great time at the event while this money was raised so this was truly fun with a purpose! The gift has been split into two parts. First, $2,000 will be offered as The Fraternal Order of Moai Scholarship to a Rapa Nui student for use in paying college expenses. Preference will be given to those students who intend to return with skills to benefit the Rapa Nui people and island upon graduation. Second, $1,000 will be used to support 'a pó – the Rapa Nui Youth Involvement Program. This project involves Rapa Nui high school students in conservation and research efforts on their own island. The fun is only getting started. Plans for Ohana Luau at the Lake 2010 in June are rolling along. Come join the Moai and experience fun with a purpose for yourself.